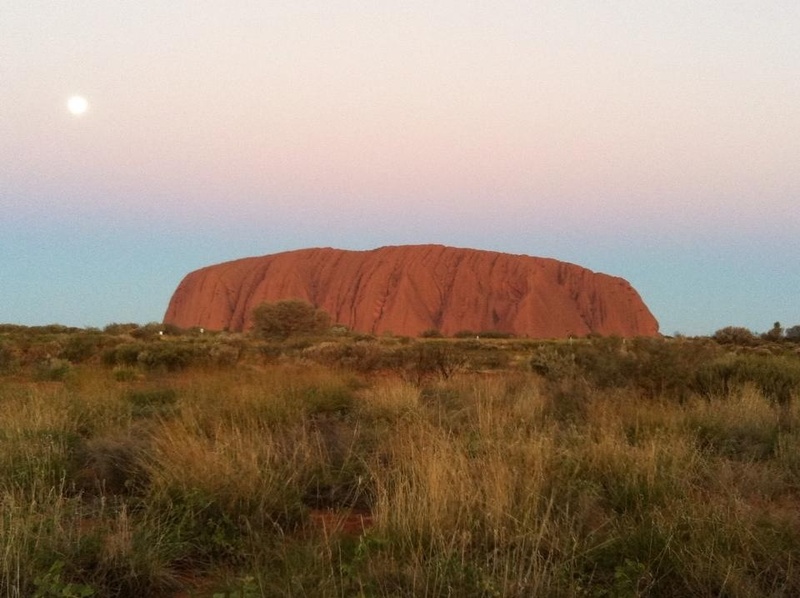 It’s been an intense time leading into this Sagittarian Full Moon however, I have somehow managed to fulfil a strong inner push to experience this special Wesak Full Moon at the extraordinary site of Uluru/Ayers Rock in outback central Australia. Wesak is celebrated each year in May as Buddha’s birthday and is thought to be a time when the veil between the physical and the spiritual is at its thinnest. But this year, this special Full Moon is strengthened by a Lunar Eclipse, the final eclipse to close off this current season, a series of intense cosmic alignments that serve to push us further towards our own ongoing transformation as well as the arrival of potent New Earth energies across 12 sacred sites over the planet. One of those locations is here at Uluru and today it’s been an incredible experience to welcome in the energy of both the sunrise and the moonrise at this magnificent site. It’s been with much interest that I’ve been following the Metatron chanellings on the New Earth energies flowing into Earth over this weekend. These energies carry the frequency of rebirth, the ultimate renewal, as they disseminate the Codes of Remembrance to those who respond to the call to take part in their anchoring. This clarion call is often received on the higher planes of our existence. It is a pull, a knowing, a connection, a welcoming. An awakening to a deeper resonance that leads us toward our Higher Purpose. It is Heart energy communicating with Heart energy across the ethers, all working together for One purpose, to pull in and share the wisdom emanating from these sacred portals. Archangel Metatron calls 2013 Year One. It is the beginning of conscious co-creation of our new reality. But to embrace conscious living we must also be ready for conscious learning. In this sense, it is also a big year for self exploration. There is no turning back on the path of Awakening so as we open to more Light we must also open to more Solitude as it is within the deeper discovery of Self that we make the true breakthroughs. This is where the magic lies, the place where we can tune in and hear the call of our Soul. And what better time to reach out to the Higher Realms than here and now under the white rays of Buddha’s moon. We all have this energy in our Heart. Mine has led me here but we can all tap in and experience it in our own way for Awakening is only a willingness to travel the path of Self-Mastery and it ourselves who are leading the way. < Previous discover. build. share.